It’s harvest time! 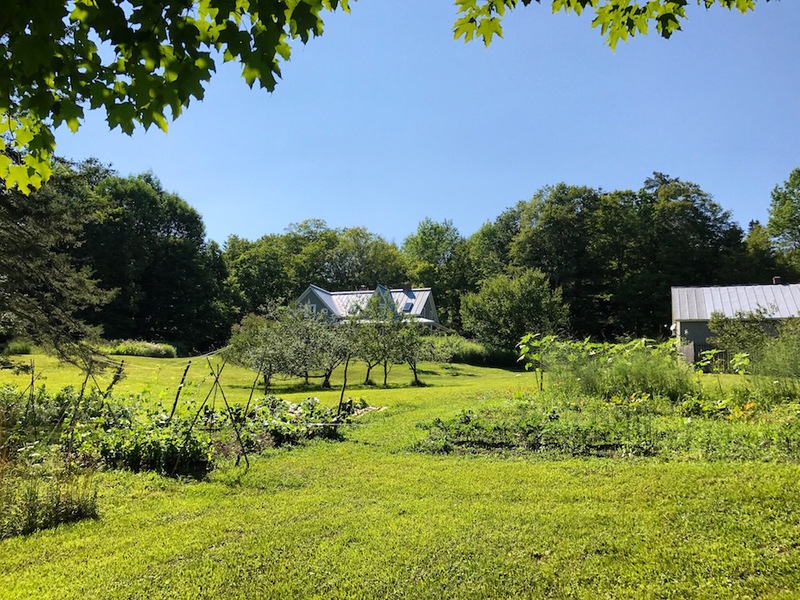 As I shared in last week’s installment of This Month On The Homestead, early fall is the time to preserve food for the winter. I am a brand new devote of preserving food (also known as canning or putting up or freezing or storing or whatever you want to call it) and so my knowledge is commensurately minimal. Some of our garden bounty! Before moving out here to the woods, Mr. Frugalwoods and I never preserved a single foodstuff, so this is a whole new world for us. 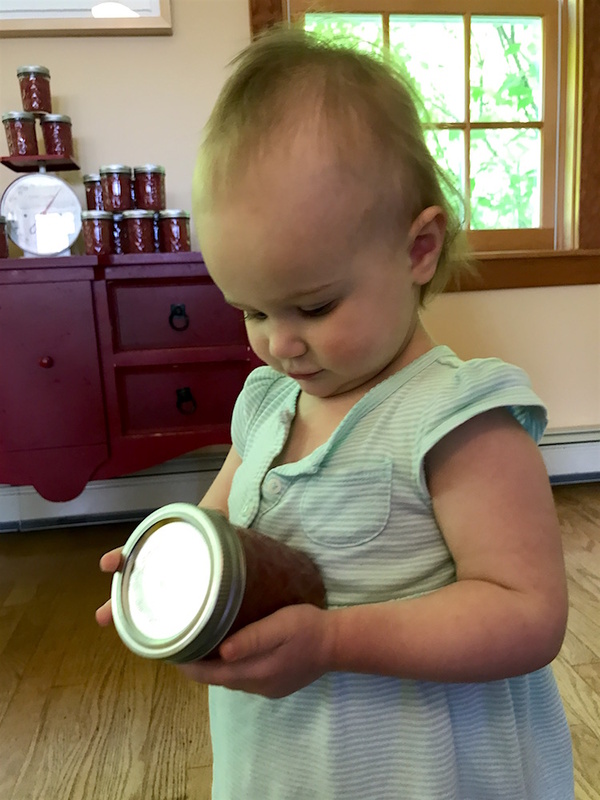 Thus far, we’ve only preserved foods that grow in our garden, which includes making canned rhubarb compote, canned pickles, refrigerator pickles, dehydrated apples, frozen berries, and canned beans. Mr. FW (the resident chef) also cooks large batches of stews, soups, and chilis, which we portion into quart-sized ziplock bags (one quart seems to be about right for the two of us for dinner, with a bit leftover for Babywoods) and pop in our deep freeze for future use. This is nice and all; however, I know many folks who purchase large quantities of inexpensive produce at the end of the growing season with the sole intention of preserving it for future consumption. I’ve never forayed into this world of buying-and-preserving and I must say that my frugal antennae are piqued. Does this method save money? Does this method ensure fresher, more delicious foods throughout the winter? Where does one buy such large quantities of food? What methods does one employ for preservation? Fear not, we’ll get to all of these questions and more. Before we dip our fingers into this delectable topic, permit me a caveat on food safety. Canning and preserving food has the potential to go horribly, dangerously wrong if you don’t follow food safety guidelines. The goal with canning (which is actually usually done with glass mason jars and not cans) is to create foods that are shelf-stable and do not require refrigeration. Thus, it is imperative that these foods are preserved properly. To ensure you’re not running afoul of such health considerations, my recommendation is to always utilize reliable sources for your recipes. 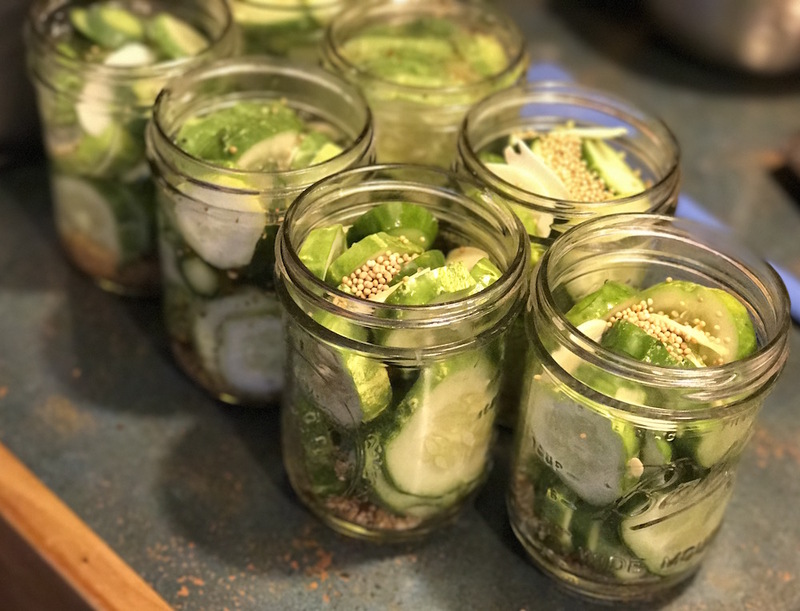 Since I refer to the internet for everything, I like to use extension school websites for canning recipes as these recipes are formulated and tested at universities–yay! These people know what they’re doing. 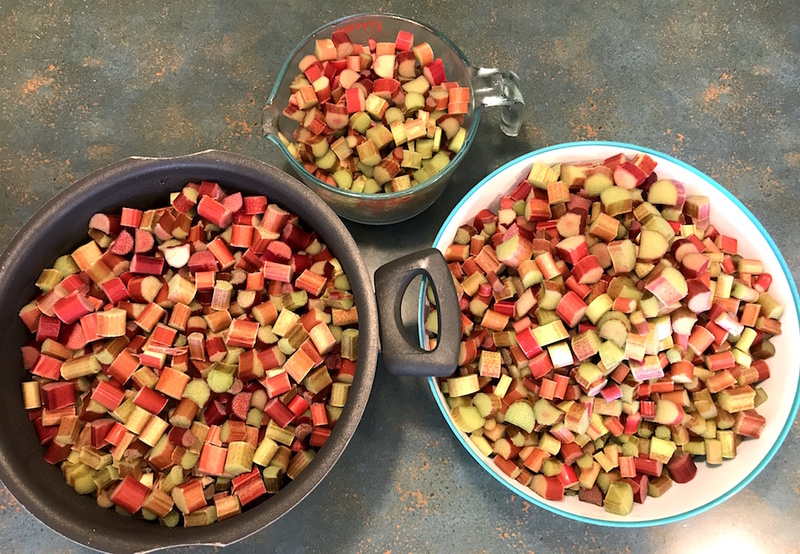 Here is the recipe I used for my canned rhubarb compote, courtesy of the University Of Minnesota extension school. 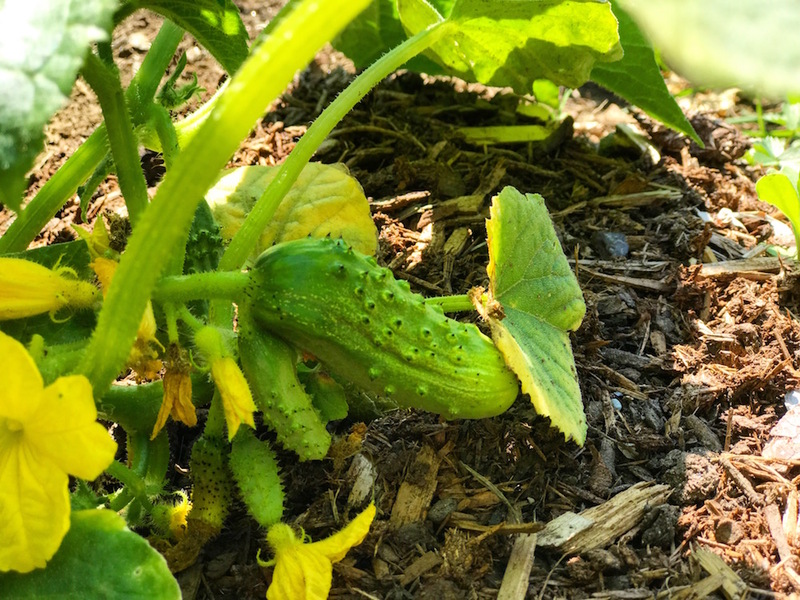 Other good online sources are prominent food and recipe companies or blogs, such as Better Homes and Gardens (Mr. FW used this recipe of theirs for his canned cucumbers) or The Kitchn, from which he sourced this recipe for refrigerator pickles. Reader Julie shared this excellent resource for canning safety: the National Center For Home Food Preservation.There are also approximately 1 million different reputable books on canning, which you can check out from your library. I do not recommend using slapdash or handed-down-through-the-generations recipes for canning. Please ensure you’re referencing the most up-to-date information as it pertains to food safety. This is not meant to scare you off, merely to point out that this is one of those things you want to do right. Of course the other way to preserve food is simply by freezing it, which works great and is a lot less labor intensive. The downsides are that it can take up a LOT of freezer space and, some things don’t come out of the freezer in tip top shape. I freeze chopped rhubarb, dried apples, berries, and soups and stews that Mr. FW has cooked. After experimenting with a number of different containers (tupperware, food storage boxes, etc), I’ve discovered that the best containers to freeze in are plain old ziplock bags for several reasons: 1) they take up the least amount of space, 2) they are easy to label and reuse, 3) you can reliably remove all the air before sealing them shut, 4) they are inexpensive, 5) I’ve never had anything come out freezer burnt. We have a deep freeze in our basement, as well as a conventional freezer above our refrigerator, and all of our long-term food storage takes place in the deep freeze. Since deep freezes are colder than conventional freezers, food tends to last longer and come out fresher. In order to effectively enter the world of canning, there is some necessary equipment one must have. You all know I hate buying things, but, I do like buying things that enable greater frugality and I’m of the opinion that preserving foods is one of those things. Mr. FW’s canned cucumbers, to transform into pickles soon! To make life easy, Mr. FW and I ordered this entire canning start-up kit last year, which contains just about everything one needs in order to can, including: tongs, a funnel, a jar lifter, a magnetic lid lifter, and more! Next, you will need a large pot in order to boil water in–we got ours from our Buy Nothing Group several years ago. You can also use a pressure canner, but as these are more expensive, it’s cheaper to start off using your own pot of boiling water. And finally, you need something to place the food in. We use glass mason jars along with lids and rings. Lucky for us, all of these supplies–except for the lids–are reusable. Lids can be purchased separately so that you’re not buying more jars or rings than you need. There are also some reusable lids available on the market. 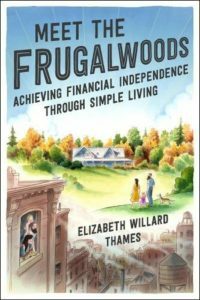 Since so many questions about this newfound (to me) world of canning swirl around in my neophyte-preservationist head, I decided I’d better ask the best resource out there: the readers of Frugalwoods. Sure enough, lots of you preserve food and you were kind enough to share your insights! I couldn’t include everyone’s response below, but you can check out the full conversation on Facebook. Laura shared that since she and her family aren’t big fans of the taste of canned veggies, she freezes most of hers instead. She does can jam, applesauce, and salsa. She also belongs to an organic veggie/fruit group and freezes surplus and in-season veggies and berries in a chest freezer. 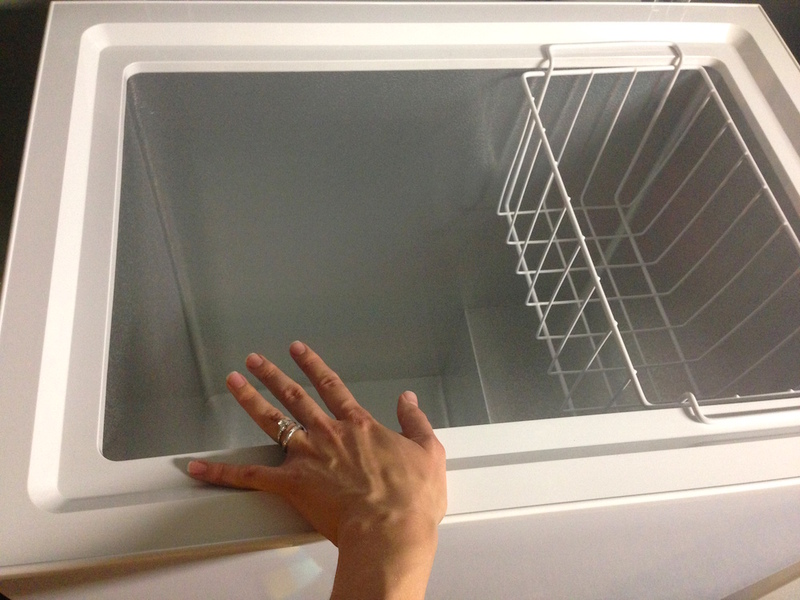 Danielle says, “We have a foodsaver and save any extra food in our deep freezer. I regularly receive excess fruits and vegetables from my parents and in-laws, which I chop up into portions we’ll use and freeze. We do this with meat as well. Since there are only two of us, we will buy the large family packages of meat, but we will then break that up into a few separate foodsaver bags and freeze them for a later meal. Usually this means we can skip a week of grocery shopping every so often! Well now I’m hungry! This is an excellent range of diverse ideas on what to do with excess produce. What I find most interesting is that many (most?) of the readers who shared advice don’t live on a farm or a homestead and many don’t even grow their own foods. Nevertheless, there are a plethora of options and opportunities for preserving food. From purchasing discount produce at farmstands, to figuring out what to do with a CSA share, to gleaning unused fruits from around a neighborhood, Frugalwoods readers have once again opened my eyes to all the possibilities for creating even more food products from scratch. Freezing seems to be the universally agreed upon easiest method of saving foods for later and I’m a big fan. I’ll add that dehydrating foods (we dehydrate apples using this dehydrator) is similarly super simple. Canning takes a bit more work, and the first time you do it involves a learning curve. But as with most things, the more you practice, the easier it gets. There are some start-up costs involved with home food preservation–a deep freeze perhaps, canning supplies, and the food itself–but it also seems there are a number of benefits. Chiefly, making your own food from scratch, whether it’s bread or pickles, allows you to control the ingredients, which is a wonderful thing. I used to buy organic, whole grain bread from the grocery store for $5 a loaf and it still had preservatives in it! Now, I bake my own bread (using a hand-me-down bread machine that’s probably as old as I am) for pennies per loaf. I like knowing what I’m eating, and especially what my daughter is eating. I’m not organized or proficient enough to make all of our food from scratch, but I find that the foods we do make ourselves taste better, are healthier, and cost much less money in the long run. Do you preserve any foods? Do you grow or purchase this food? I like to get lots of blueberries when they’re in season and freeze them for winter. My kids love to eat them frozen as dessert, so I have to have lots to list any length of time. We don’t currently have a garden but my goal is to work up to having one. I grew up with a huge garden, so I’m fully aware of all the benefits. My first step is to buy a few blueberry bushes to grow, and to freeze as many as I can for my family. There are some great ideas in this list that I wouldn’t have thought of. Thanks for sharing!! These are such timely tips. 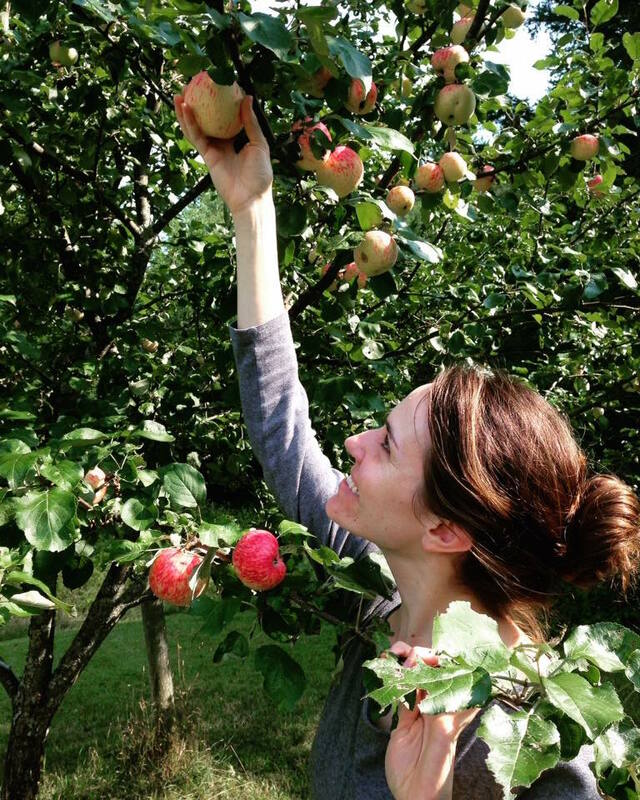 My wife and I are going apple picking this upcoming weekend and will be doing some canning to preserve various types of apples for different desserts. Thanks for all the great ideas!! We had one too many canning experiences go awry! Moldy applesauce is so disappointing, now we freeze most of our produce. We are freezing our tomato and applesauces in mason jars this year to make them easier to use throughout the year. Wow that’s a lot of rhubarb! I just canned for the first time this year. My husband has done it in the past but he was out of town when our tomatoes were going crazy. I made salsa using his recipe from previous years, and also canned tomatoes since I found myself buying them a lot last winter (and wondering why I hadn’t canned our excess). It definitely felt like an accomplishment, and I was glad not to see our harvest go to waste. Timely topic, with the garden abundance of September filling our baskets! We raise garlic in what my SO says are “industrial quantities.” Planted on Columbus Day each year, the bulbs are ready for harvest when the tops begin to get golden brown, usually around late July. We pull them, wash and trim the bulbs, dry many of them for use through the first half of winter. Others we separate into cloves and put into freezer bags; freezing them changes the texture a bit, but for soups and roasting, they are every bit as good in February—garlic soup is fine on a snowy day. Keeps the colds away (but not your SO if you both consume it!). Can I ask why you wash your garlic? Congratulations on a great harvest! Looks like you will have lots of good food for months to come. Winter is coming, so I can see how all the canned food will come in handy, especially when it snows heavily outside. My mom used to make pickle cabbage when I was at home. I think she still does. It is super simple and cheap to make. And it makes a lot of dishes taste better too! What a lovely harvest you’ve had! I always have good intentions of growing my own produce, but I tend to get the urge to plant them out of season. I need to do some research and make a note on my calendar I think! Love it! I love to freeze fruits and veggies for later, especially fruits. Looks like you had a great harvest! One thing I wish Dallas had was a better farmers market or somewhere to get fresh produce. Getting it at the grocery store just isn’t the same. You have some food preservation EXPERTS in your Facebook group. I also appreciated how many people can tell you exactly how much money they saved by growing and preserving food for themselves. These comments emphasize the amount of time that food preservation can take- even more reason to have a flexible schedule and not be working all the time. When we work too much, we lose our time and end up spending more money on convenience. Thanks for all the great information! Dehydrating! Omg! Especially for veggies! I don’t store veggies in the freezer because that’s full of meat (local farmer with organic grass-finished actually-free-range-seriously-you-can-visit-and-see pigs and cows, for about 50c/lb more than the grocery store sale price for ground meat? Gimme. And also wr raise lambs.) But I have a crappy dehydrator and will likely buy the Excalibur next year because this one just doesn’t do enough at a time. Seriously though. Dehydrated veggies tossed into soups and stews work super well. Tossed into rice? Gives a nice vegetable rice and ready in 20. Dehydrated strawberries and pears taste like candy and are beloved by the children. And it’s way less effort than canning. … and I’d rather dehydrate celery now, while it is 75 cents a head, than in winter, when prices hit between 5-7$ for the same quantity. Plus I live in the country, so the possibility of being snowed in for a week is real. Gee how I love this blog. When I discovered this I was so in debt and I was loosing it emotionally and financially. After 16 months of being a fan. I’m $80 k out of debt. Have a nice savings. And now it’s official save 44% of my monthly income. 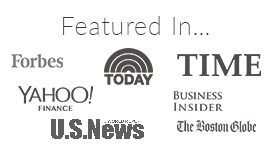 I am so grateful to you all and your readers. I celebrate your dream every time I read your blog. Love seeing frugalbabies peach fuzz hair. Haven’t had Frugalhound pics in awhile. Looking forward to next adventure on the homestead. I used to do a lot more canning than I do now. For a long time I would buy from the farm in bulk and do it myself. Once I found an awesome deal on peaches at our produce store and bought them by the box! I prefer canning to freezing because we’ve lost power for a week before, and I’d cry if I lost all of that work and money! These are great tips. I have a friend who buys flats of $1/lb tomatoes and makes canned salsa and marinara. I’ve done a small bit of salsa but have never tackled massive quantities. I think it would be a good idea to have a canning party, where a bunch of people got together to can different items. It’s a lot of work so that might make it more fun and me more likely to can a bunch! I haven’t yet jumped into the world of canning, but I do freeze a lot – especially when fruit is on sale! A book I’ve found really helpful is America’s Test Kitchen: Foolproof Preserving: A Guide to Small Batch Jams, Jellies, Pickles, Condiments & More. On a whim, I picked it up from the library and am so glad I did. For most recipes, it has for processing both long and short term. So for those of you who are canning, it’ll give you those instructions and let you know if it can’t be processed for long-term storage. And for those of us who haven’t made the jump… it’ll let you know if you can process it for short term and how long it’ll last in your refrigerator. I also like it because there’s some awesome condiment recipes (think spicy mustard). I’ve also found that several of their recipes are also available for free on their website! What’s more frugal than that? One of my favourite topics! I think canning/dehydrating/preserving your own food tends to be thrifty in and of itself for the most part. However, one tip I have (particularly for people like me who tend to get excited about all the fruits! And all the recipes!) is to try to stick to canning foods and using recipes that your family will actually eat. I do try a couple new recipes (from reliable sources) each year but try to stick to small batches and foods that we actually like. Otherwise it’s February and the thought of the 28th jar of pickled kohlrabi/spiced plum conserve/whatever is totally unappealing. Boo to food waste…even if you canned it yourself. Also one of the best resources I have come across for preserving is Putting Food By. It outlines all the methods and what the dangers/safety precautions are and has a bunch of simple recipes. I have yet to stump it on a fruit or vegetable that I cannot “put by” in some fashion. I love this! We’ve just gotten more heavily into food preservation, although we admittedly have a lot to learn. I do can jams and jellies, although that’s been done with store bought produce. I hope soon we can start preserving the berries and fruits we’ve planted in our back yard though. 🙂 If you can grow your own food and preserve it, you really are on the fast track to cutting food costs in the long run. Keep track of how much you preserve and use. At one time my mother was heavily into self-picked strawberries and making jam. After a while the novelty wore off, and I found she would still have a bunch left when we were canning for the next year. I know you mentioned it above but it is worth reiterating: do NOT use handed down recipes, particularly for canning tomato heavy recipes. Today’s tomatoes have much more sugar and are much lower in acidity than the ones our grandparent’s grew. That is why most modern recipes have you add lemon juice or something similar to canned tomatoes and old ones do not. It is not a matter of taste, it is a matter of safety. I have had great success with canning and love that it does not take up valuable freezer space. Yes! Follow modern recipes from reputable sources every time! Thanks for reiterating this! I first learned to can from an older man in my church. We had bought a house in Rhode Island with some already established producing peach trees and blueberry bushes. I was a stay at home mom, in a household with one income, so this preserving of all of the extra produce really was a money saver – and so wonderful to have fresh produce in winter. It was a wonderful skill to learn and I still do my own preserving of my garden, or I buy boxes of seconds from a local farm stand. Someone mentioned being in South Central PA, and that is where I live now. There is an abundance of fresh fruit and veggies, evem if you don’t grow them. There is nothing better than having home made saue, salsa, pickles and jam. This year, I have canned hot pickles and jalepenos that I grew. These are great on homemade nachos and mexican dishes. I have made jam, pickled beets, stewed tomatoes (my family puts these right on pastsa and they are a little simplier to make than sauce), and sauerkraut. We have been drying herbs, so I no longer buy oregano, basil, parsley, tarragon, thyme and sage. I have grown and preserved garlic over the years and always grow potatoes, and winter squash such as butternut, acorn and spagghetti squash as these will keep for months in my basement over the winter. I ffreeze berries that I either grow, or pick from local places. Even if I buy extra at a local farm stand these are so nice to have in the winter for smoothies, homemmade pancake syrup (like the expensive stonewall kitchen!) . I was given a dehydrator. This is great for both herbs and tomatoes and making fruit leather. Preserving food is such a great way to feel connected to where your food comes from and bring a little summer sunshine into the winter season! I grew up with my parents canning at the end of a big summer harvest. 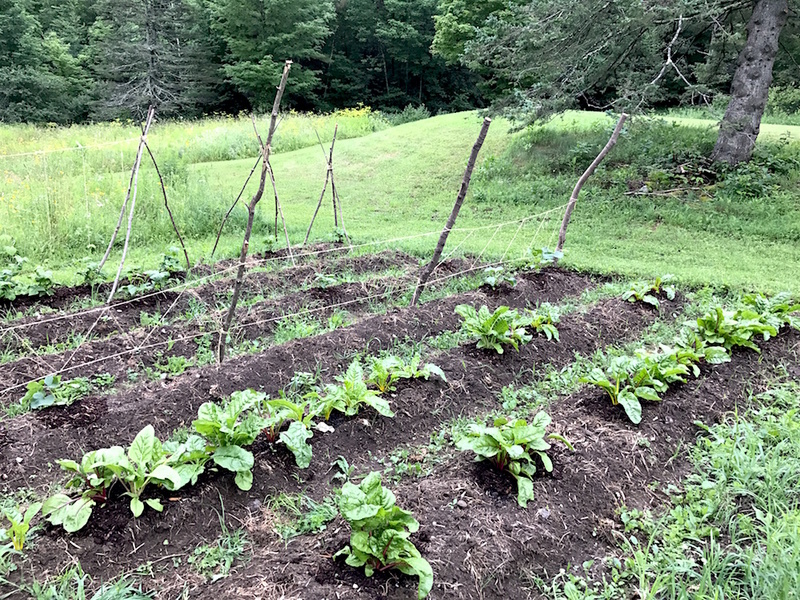 It was exhausting work and as their jobs got busier, they turned their large garden into potatoes and raspberries rather than tons of annual vegetables. They do a CSA now as the cost benefit to them was lower. Canning seems tempting to me from time to time (especially the control over salt, sugar, etc) but I think I may follow the berry path. It’s one of our most expensive produce items and our climate is well suited to them! Great suggestions! I’m always wary of canning since I keep hearing all the horror stories of what could go wrong. I prefer to freeze everything I can instead. So far, freezing has worked out well for us. 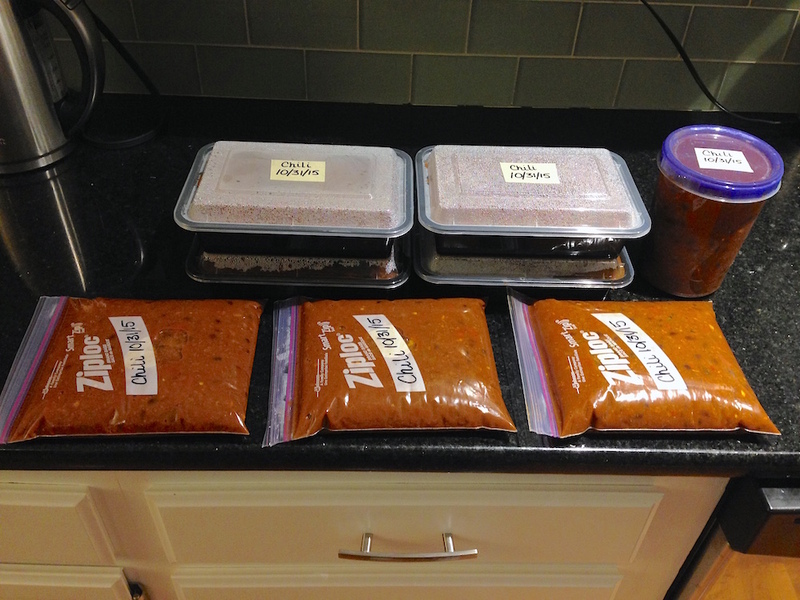 One thing I’ve done more recently is freeze portioned out meal-ready ingredients to make cooking easier. For example, I would chop up and freeze an onion or cook up ground beef/turkey and freeze so when I’m ready to cook, I can just quickly defrost the ingredients and cook the meal, no chopping or pre-cooking needed. It really helps with two small kids. Yes! chopping and freezing vegetables and having precooked meat in the freezer is a life-saver on busy days. I find that just doing this simple and easy task makes my day run much more smoothly and less stressful. Time saved much better spent with kids. We also preserve any fruits and vegetables into our freezer and either use zip lock bags or Kerr brand mason jars. We put most of our freezer fruits and veggies into our blender and make smoothies. It’s definitely better and cheaper than going to a Jamba juice or any other juice store because it’s our own creation of smoothies. Hopefully when we land our first home we can grow all sorts of fruits and veggies as well. We had a whole pile of hot peppers this year! My hubby actually likes them better after they are frozen then mixed into food. He thinks the flavor spreads better. We will probably have 2 gallons of sliced peppers this year to freeze! Yummy, those pictures just made me hungry 😊. We live in the suburbs, thus we don’t have a lot of land to grow our own food, except for pears 😊. But we buy meat that are on sale, and preserve them in our deep freezer for months. We also cook only once a week on Sundays, and freeze the meals. It saves us a looooooot of time. I love everything hearing everyone’s tips and advice about food preservation. I love the simplicity and nutrition saving technique of lacto-fermenting, but you would need an extra refrigerator to do that on a large scale. I would like to know if anyone can explain if there is an advantage of chest freezers over refrigerator size freezers. It seems to me it must be quite difficult digging through frozen food to find the items at the bottom of the chest! Thanks for your input! We find several benefits to our chest freezer: added storage space and, food keeps for longer in a chest freezer vs. a conventional freezer. We don’t have a problem with digging around in it as it has a few shelves and I use small cardboard boxes to keep everything organized. So far, we’ve never forgotten about a food in there :)! Would you recommend having a generator to keep the deep freezer going during power outages? Chest freezers are also more energy efficient. When you open the door of a refrigerator style freezer, tons of cold air rushes out. In a chest freezer, warm air tends to rise so you do not lose nearly as much cold air. I never really have trouble losing things in the chest freezer but it is fairly small, I am fairly organized, and I keep a notebook on top of it where I jot down what goes in and the month, put a tick mark when I pull one item out, and cross it off when the entire batch is used up. If you are referencing an entire upright freezer, chest freezers run more efficiently, so that’s a bonus for the environment and your pocketbook. I’ve also started primarily preserving our produce using lacto-fermentation and our small chest freezer. In addition to being simple and healthy, fermenting also takes place at room temperature (which is fantastic in the summer heat!) and as long as everything smells fine, it is good to eat. We live in northern Minnesota and I am looking forward to trying to use our basement as cold storage once the temperature drops below 60 degrees. I’d love to hear more about how you store your lacto-fermented foods. I am just getting into fermentation and I want to put up as much as I can, but I don’t know how long lacto-fermented veggies will keep on the shelf. (I don’t have an extra fridge to keep them in). I’m not sure you are, but if you’re referencing an upright freezer (a fridge- or mini-fridge sized/shaped freezer) there are definitely advantages to a chest for long-term use. We have an upright freezer that’s the size of a mini fridge and, while it suits our needs (it’s our only freezer – our small apartment only came with an under-counter mini fridge, and trying to live freezer-free didn’t work out too well), it’s a pain to defrost and it gains a lot of moisture/loses a lot of air every time we open the door. Without the tech of a larger fridge behind it, that’s more of an issue. That said, it’s easier to fit in many places than a chest freezer – with our lack of storage, it makes a big difference that our freezer also serves as a side table. Also, in general, it’s worth upgrading/replacing old freezers/fridges for efficiency reasons. Old fridges re-purposed as “basement fridges” as well might cost much more to run than they would to upgrade. We can as many tomatoes as we can grow after consuming gluttonous amounts throughout the summer. We also can chilis and fruit preserves. We can what we eat, grow, glean, or are given, otherwise it wouldn’t be affordable. But we don’t freeze too much produce because I find it gets forgotten, unless they are berries, because there is always something fresh from the garden to eat. 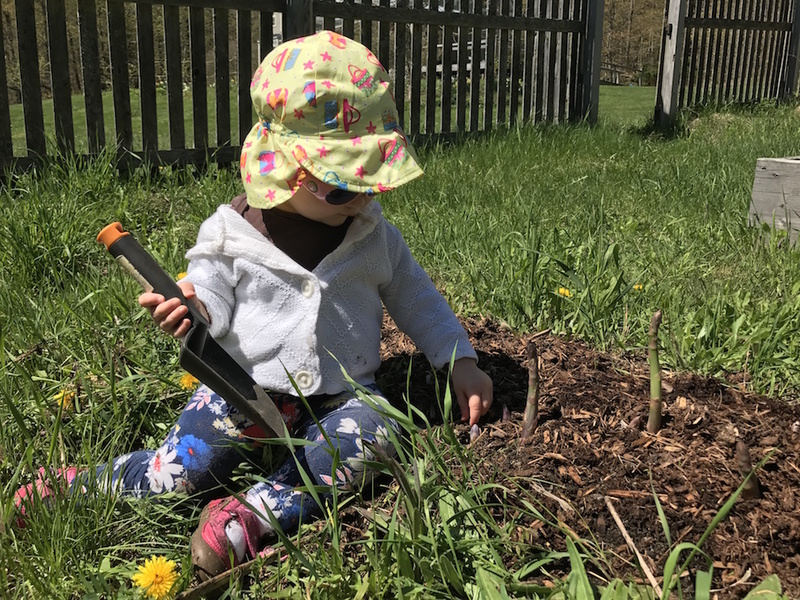 We try to have a garden that grows year round and store veggies that have a long shelf life some where cool, like a root celler, an unheated basement or garage, things like potatoes, onions, garlic, squashes,…. It is important to think of it as your long-term pantry. When I get ready for the next growing season, I look to see what I should try to plant more of. I also plant a variety of things that I eat fresh throughout the year, but that are main ingredients in my household common meals. Also the idea of “eat the food” in its season whatever you may have so it doesn’t go to waste plays out, so if you have lots of celery and kale, hello yummy green smoothies. Life changing. I also keep chickens and rabbits that live off the extras and work the garden when used with that end mind. We keep them for fresh eggs and meat. Different people have different strategies depending on their region and culture. There is always so much to learn. “…consuming gluttonous amounts throughout the summer.” Love this phrase, we live this phrase! We got into pickled carrots (so good!) and fruit jams in a big way this year. I’m still collecting all my tomatoes grown for the sole purpose of delicious marinara sauce. Hopefully that turns out! The book Homegrown Pantry by Barbara Pleasant is a great resource for people looking to grow what they preserve, freeze, dry. etc. It’s inspiring me to step up my game for next year! One tip I haven’t seen above: I grow many hardy herbs in pots, which live outside in the summer but can overwinter on our three-season porch: rosemary, thyme, oregano, hardier mint, etc. This means we have fresh herbs even when it’s -5 F outside, because the plants are protected from frost. I let my dill and cilantro go to seed in the garden at the end of the summer, and use whatever I’m not planning to plant in the spring in our in winter cooking, too (cilantro seeds=coriander seed in the USA). 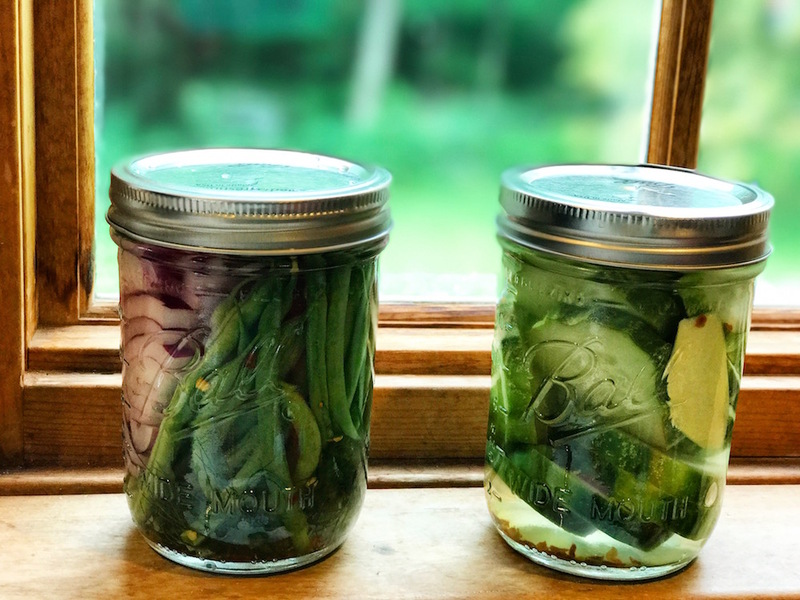 Homemade Living: Canning & Preserving with Ashley English is a good beginner canning resource with step-by-step photos–and it has a wonderful sweet pickle relish recipe. It’s worth picking up a used or library copy. This is great! In terms of freezing greens (such as kale or spinach) – any recommendations there? Or best to make a dish with those mixed in, then freeze? Also, do you par-cook any veggies before freezing? Yes, vegetables should generally be blanched before freezing. It’s really quite easy, just boil for 2-3 minutes, then submerge in ice water, then freeze. Green beans, corn, broccoli, etc work well this way. You can blanch and freeze greens, but I don’t think they’re that tasty. This is probably too late to be noticed but…if buying farm produce to preserve, decide in advance what is a fair price in your area. 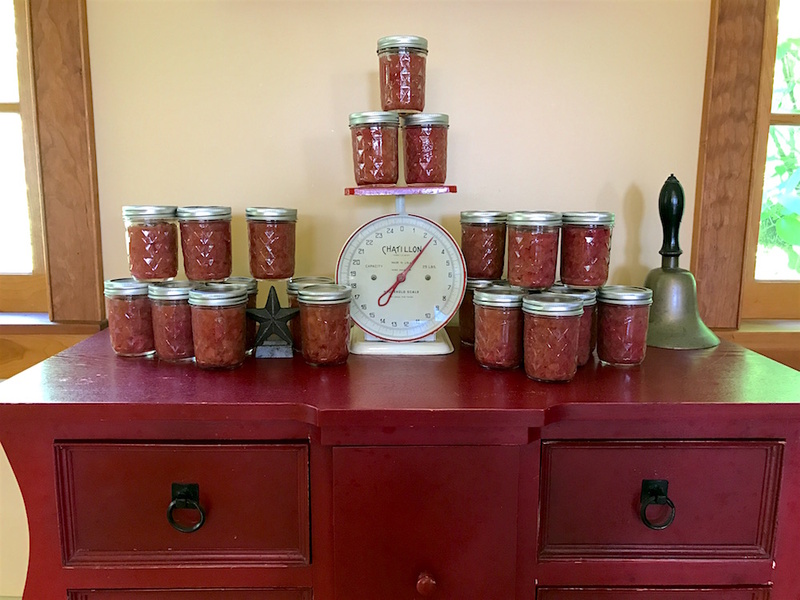 Last year in an effort to support a new farm market business by a couple from our church, we spent twice the going rate for a bushel of canning tomatoes. They were way past freshness and all winter I have been throwing away jars of spoiled tomatoes. In forty years this has never happened to me! In the end with labor etc. I estimate my rancid jars of tomatoes cost me about $10 each. ARRG! One of the best and easiest ways to preserve food is right in the garden! Have you looked at making low tunnels or row covers for any of your garden beds? I’m going to do that for the first time this year and I could not be more excited. It makes year-round growing of certain veggies possible in a variety of climates. In my maritime NW region I grew spinach all winter last year, even through some hard frosts, but ended up getting an average of 2-3 leaves per week from four small plants. This year the low tunnels should make a vast difference. And I’m making sure I end up with more plants! I’m starting small with carrots, spinach, and lettuce, but it should save us some serious money on winter produce since we eat A LOT of those items. Love this topic! 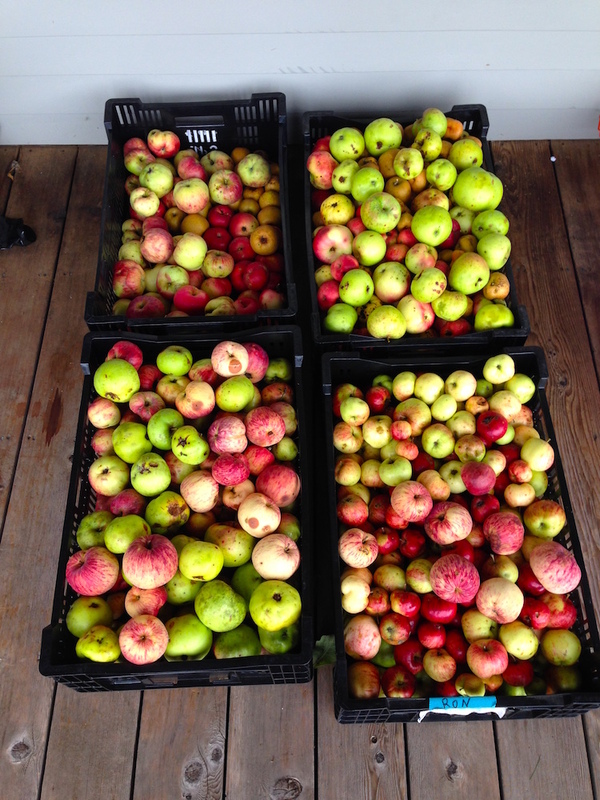 As we also live in VT our growing season is short and winters are long so preserving is HUGE. We approach our own needs by planting a canning garden along with our summer fresh garden (greens and daily seasonal consumption). Our canning garden consists of bush beans, cukes, tomatoes, herbs, peppers. These go into dilly beans, pickles, salsa, and tomato sauces. All overabundance is frozen or dry stored. We freeze a lot of berries. We do pick-your-own at a farm for strawberries and blueberries and grow our own red and black raspberries/blackberries. We love the pick-your-own option as it supports a local farm/family, and is also a fun family outing for us. Additionally this is the time of year for butchering, processing and vacuum sealing the meats we raise for the freezer. Mrs FW, you mentioned Univ of Minnesota extension website, a great resource. Also be sure to let any food that is hot, cool before you put it in ziploc bags. The heat leeches dioxins from the plastic into the food (even from BPA-free bags). Great posts from everyone! We have a dehydrater and a deep freezer for food preservation. We only do a small amount of canning though. Much of it comes out of the garden or the fruit trees but we also sometimes buy near expiry bulk veggies. For example we bought tomatoes nearly expired last year and canned it as spaghetti sauce. We also freeze corn and blueberries from time to time. Hi from sunny Virginia! Hubby and I have just retired and one of our first goals is to eat our way through our assorted canned goods and our three (!) freezers full of food. Mercy, but good stuff! Yes, we freeze lots of things – two of the freezers came from yard sales, and I couldn’t pass them up. They sit on the front porch of our old farmhouse for that “real down-home” look. 1. Jane Butel’s _Freezer Cookbook_ is awesome; an oldie but goodie. She does a great job explaining how to freeze various items, including veggies, meats, etc. One tip I am so grateful to her for was saying to stash woolens in the freezer (in airtight bags) for a couple of days to make sure that any moth eggs/larva got killed. Yes, there are recipes, but there’s much, much more to this book. 2. My favourite book for canning is _The Ball All-New Ball Book of Canning and Preserving_; I feel that you can trust these folks and they take food safety VERY seriously. 3. We have a big garden and, over the years, have done a lot of canning and/or freezing. I was also lucky enough to work where there were abandoned pecan trees, so have lots of Ziploc bags of pecans, which seem to keep indefinitely in the freezer. We have a bunch of blueberry bushes and those little guys freeze so nicely! 4. I have, for the most part, gotten away from Ziploc bags; I sprang for quart- and pint-sized tubs from Amazon, specifically designed for the freezer. They can be used over and over and it’s much easier for me to keep track of what I have. I write on them with a Sharpie and find that comes off relatively easily with a green scrubbie pad. 5. Almost all my canning equipment was hand-me-down and/or yard sales. If you spread the word that you are looking for such things, you may well find yourself with an embarrassment of riches. And you can buy lids in bulk online for much less than in hardware or grocery stores. 6. I do buy some things to freeze, such as corn and sometimes bell peppers, when they are crazy-cheap in the late winter. I also freeze bread, butter, cheese and lots and lots of homemade stock. 7. Have a dehydrator (yard sale) and have dried tomatoes, peppers, herbs, apples (from a local farmer) and figs. Fun to do, but you need to be around to keep an eye on it. Just for safety’s sake, I freeze what I dry. Well, there’s my contributions. It’s fun to “go shopping” at home. We’ve been retired for almost a month, and all we’ve needed to buy is milk and eggs! We dehydrate the apples from my in law’s trees and then use the jar sealer with our FoodSaver to make them airtight and shelf stable in mason jars. It’s so nice to find a jar of great apple treats in the dead of the Iowa winter! Great topic and great advice! My parents used to can various foods whenever they were in season. It took a whole day to make a batch of pickles or fruit jam, for instance,but it was well worth it! I have an entire collection of recipes saved up though, when we’ll “upsize” (aka, become homeowners), I’m definitely going to start making my own preserves! They’re so much better than store bought. Adriana, remember what The Tightwad Gazette says. You can store food (can goods) and supplies anywhere. Under beds, top shelf of a linen closet, in a trunk or coffee table that has storage in it. I know when we were renters, we had a unique hall closet right in the kitchen for coat storage. I didn’t utilize it well, i could have put up much more canned goods. I think i didn’t consider it as it wasn’t a ‘pantry ‘ Anything you put up now, saves money going forward. I have had 2 packed, large, upright freezers die, so I can as much as possible, with a plan on how to can what I have in the freezer currently, just in case. I just started lacto fermenting vegetables. I’m not doing this on a large scale at all, and I’m definitely buying the produce. My almost 2 year old will only eat vegetables in the form of pickles right now. I don’t know. 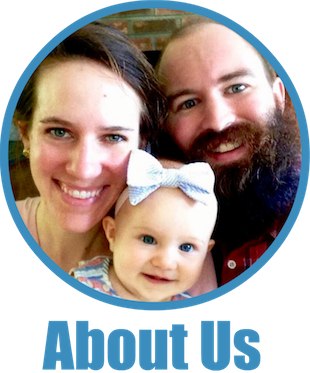 We did all of the same things in terms of food with him that we did with our eldest son. Our eldest eats everything and loves kale. The eldest had 100% formula and my incredibly picky toddler was 100% breastfed. Apparently, he has not read the books that promise this is supposed to make him less picky! Anyhow, I’ve been giving him sauerkraut and pickled carrots and things. My sister loves to can things, and we grew up canning the bounty of my grandparent’s enormous garden. Hahaha: “Apparently, he has not read the books that promise this is supposed to make him less picky!” If only our kids would read these books and understand how they’re supposed to operate ;)! I keep telling mine that since I ate mountains of kale while pregnant and breastfeeding, she too should love it. I was taught that one never stores home canned goods stacked or with rings on. The theory being that with weight from being double stacked or a ring holding it on a jar could reseal itself. Having found a jar unsealed and growing fuzz gives me faith in the process when I find the rest sealed tight. I do a little bit of everything: can, freeze and dehydrate. Canning can be a bit intimidating at first, but I have found that if you follow the guidelines for safety and check your cans after you have processed you can find any that did not properly seal. I started out small with canning simple things in a water bath and have now started using a pressure caner as well. Most of my canning supplies are hand-me-downs and I purchase my rings/lids in bulk. We live in Wyoming, which is considered a food desert so fresh produce can be really expensive. Typically we grow a small garden (gardening at 7220 feet can be a challenge) and we supplement with produce from the farmers market. I often ask for the ‘ugly fruit/vegetables’ because they are sometimes half the price of the nice looking produce and still just as good for canning. We can a lot to enjoy during the long winter months when fresh produce is much more expensive. My husband and I are also hunters and we process our own meat. This means that we freeze and can the meat. We have a chest freezer and a pantry full of preserved items. I like knowing where my food came from and what is in it. Taking the time to do this has really helped us save on groceries. I eagerly await the day when my family has a garden! Although, I doubt it will be quite as prolific as yours! I’m afraid of pressure canning equipment. Due to a faulty gasket one blew up in my parents’ kitchen when I was 12. Wow, what a mess. This is why we freeze, LOL. This was the first year I’ve ever attempted to do any sort of canning and, luckily, it went really well. I took it pretty easy and just did some spicy pickled green beans, but the canning process went smoothly and the beans are delicious. I was pretty impressed with myself! Next year I’m looking forward to planting more to have more excess to can…and I’ll definitely revert back to this post, it’s full of good tips! Keep looking for a pressure canner. It will allow you to can better quality tomato products because you don’t have to process them as long, as well as other low acid foods. I especially like to can homemade chicken stock – a very frugal enterprise indeed. I like to can everything that cans well, so I have the freezer space for those things that don’t do well canned. And being shelf stable, should we ever have a lengthy power outage all those things will be fine. I think you’re going to need a bigger freezer! I used to can large amounts, but we don’t have a large garden anymore and just grow a few things. I started the small canning experience, of canning 2 or 3 pints or half-pints in a stockpot or in my pressure cooker. I still get to put up extra food, but don’t have to search out big lots of produce. We are sometimes given cases of produce from others’ gardens, so then I do batch can. I’ve been water-bath canning and pressure canning for decades. One definitely learns the tricks of the trade as one goes. I learned that we don’t like some veggies canned (summer squash for instance) and don’t like some frozen (green beans — we like them canned since we folks in the southeast like our beans cooked almost soft). I learned how to make relishes when I don’t have quite enough of this or that but have a little of several items. We also dry fruits and some tomatoes, as well as herbs, and I make some jellies, but mostly as gifts, as we don’t eat a lot of jelly or jam. I’ve made my own ketchup several times. Later I added some hot peppers to the recipe to make a spicy ketchup that is in high demand. I use the Ball canning guide, the pressure canning guide that came with the canner, and a book that is now only available used, I think, Preserving Summer’s Bounty by Marilyn Kluger. I also have canned baked beans, so that baked beans were always ready to heat and eat — so much cheaper and tastier than store bought and I don’t have to use the oven every time to make them. I’ve canned blackberries in light syrup, to make quick pie fillings with just a little thickener and spice added. I get a lot of satisfaction out of canned, and since most of the items are used over and over again, sometimes for many years, it is quite cheap. I even use the reusable lids from Tatler, although they seem to work best when water bath canning. I’ve had a couple un-seal after pressure canning, so I use metal lids there. Good luck on “putting up.” It’s very doable, and the sight of many jars of beautifully vari-colored foods, just waiting for winter, is something I think you will enjoy. *Preserve things you actually eat. Jam is really fun to make but…I don’t eat a lot of jam. *Project how much you will actually use in a year. 2 jars of tomatoes a week means you need up to 104 jars – not 200. Or maybe only 80 if you factor in vacations and the part of the year you have fresh tomatoes. If you only use 1 jar of jam a month then you don’t need 30 jars. * Keep track of how much you preserved and when you ran out so you can adjust quantities next year. *Think of some things as “categories” so that you can substitute in years of abundance or scarcity. For example,IIRC you are making rhubarb compote for gifts, potlucks and fancy desserts. But let’s say one year is a bad one for rhubarb. Instead of paying top dollar to buy it, make apple or strawberry compote instead. Or if cucumbers as expensive one year, make pickled carrots and peppers instead. This week I went foraging for wild blackberries: From one bag and one hour of picking-time I have enough for blackberry&chocolate cakes (one for eating, one for freezing); several portions of blackberries put straight into the freezer; 2 portions for 2litres of blackberry-infused gin (simply put in glass bottle, top up with gin, tighten screwtop, put in dark cupboard and leave till Christmas) – yum! I’d like to start growing more of our food. Does anyone have suggestions for websites or blogs that talk about easy ways to get started? We are total beginners! I am a huge fan of pressure canning, although I wouldn’t reccommend it until you’re pretty comfortable with regular canning. It requires a special pressure canner, but the pressure canner can also be used for regular, non-pressurized canning. The pressure canner is amazing because it allows you to preserve food that is shelf stable outside of fruits and veggies. To date, I’ve used it to can: homemade chicken broth, ham and bean soup, tomato-basil bisque, chili, roast beef with gravy, vegetable beef soup and mexican chicken soup. It obviously works better for things you’d normally get out of a can (i.e. soup!) and I haven’t tried any cream heavy soups. The texture is a little different than freezing, but I think the taste is a lot better. 1. The pressure canner is slightly more risky in the same way a pressure cooker is. The newer models are much safer and if you follow the directions correctly, you won’t have any problems. 2. I second using good resources, because it’s really easy to make really unsafe food if ypu don’t boil the jars long enough. My favorite canning book, hands down, is Putting Food By. Anything you ever wanted to can is in that book. 4. You absolutely CANNOT use a regular canner for meat-based products. Boiling water alone isn’t hot enough to kill bacteria for shelf stable food. You need the added pressure of the pressure canner to get hot enough water/steam. Any recommendations for frugal alternatives to Ziploc-style bags (for freezing leftovers?) This style of bag is not available in my country. Thank you! My two favorite canning books are Canning for a New Generation and Not Your Mama’s Canning Book. The first has some great basics and variations and the second has some more unique preserves. Both have lots of suggestions for using them. I also preserve some of my herbs / flowers for medicinal purposes. For example I make my own Calendula cream – flowers, olive oil and beeswax. Super easy, way cheaper than store bought. exhausting. Place trivet upside down in Mini Pot. jar(s), 1 tsp vinegar and water 1/4 up side of jar.